ManuCRAPturing (man’yoo-krap’cher’ing) v.— The making of inferior goods, products and articles as inexpensively as possible without regard for: a company’s reputation; reliability and longevity of use of products produced; inconvenience to all parties involved in the handling, sale and use of the product. These companies manuCRAPture tops from subpar materials. They fit horribly, tear easily, leak and fall apart when exposed to the elements. They don’t care how their products affect our shops and customers. All they’re interested in is making money through quick online sales. However, we can put these companies out of business. Simply stop buying subpar tops and start refusing to install ones that customers bring to your shop. Instead, buy your convertible tops from quality manufacturers like Electron Top. Auto trimmers love Electron Top’s quality convertible tops, great customer service and commitment to the industry. 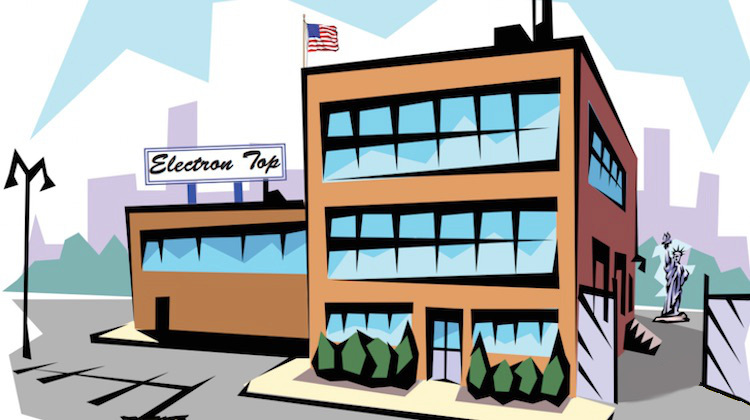 In fact, Electron Top is one of the few manufacturers left that refuses to sell products directly to the public – limiting their market to ensure that our prices aren’t affected. What’s more, they’re strong supporters of The Hog Ring community. Show your appreciation and support by setting up a business account today. 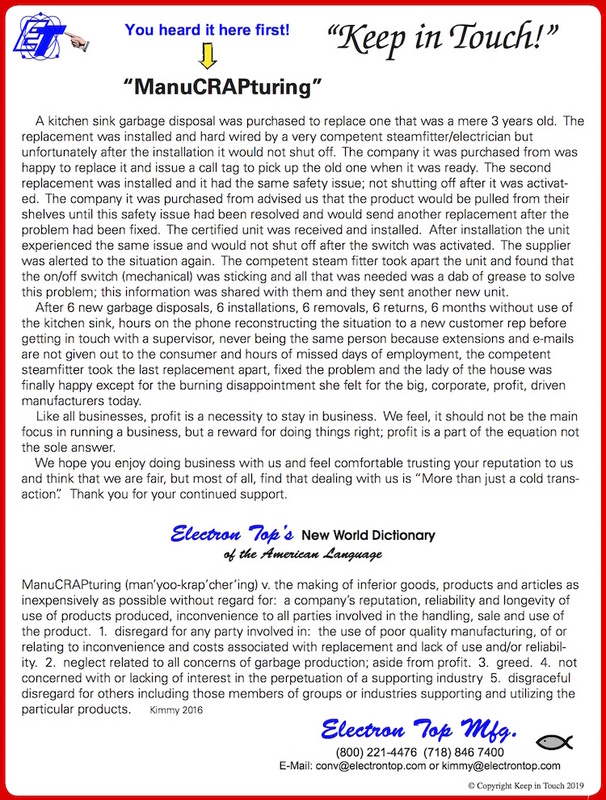 Call (800) 221-4476 or visit ElectronTop.com. Thank You Electron for the best tops and service! I have built my reputation on your superior products and I am grateful. The best point blank.kimmy is always a great help and answers any questions I may have. We LOVE the team at Electron. We refuse to buy or work with any other inferior tops (manucrapturing). We have been in business in Queens since 1948, Electron is our go to top manufacturer. Great team, great people, great neighbors, and a perfect fit everytime. They truly care about us installers, refusing to deal with the public directly (I have witnessed this) and ignoring the pressure of direct online sales (overseas) shows how dedicated they are to our trade and country. We are lucky enough to be located 10 minutes away from Electron. Every week I go to pick up our tops, it is like visiting my family, nothing but warm hello’s, friendly smiles, and fast service that can’t be beat. They are a true partner you can always count on. Real men sew. We've always known that. But it … [more] about It’s True, Real Men Sew!